Wow. This book is so moving, and the characters so well portrayed, that I have to commend John Green on his research. 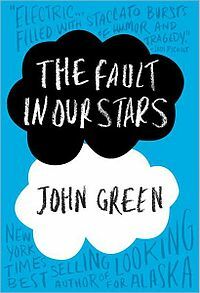 "The Fault in Our Stars" is about two teens with cancer, Hazel and Augustus, that meet in a cancer support group. It is not a sappy, sugar coated "feel good" story with a superficial ending, but a realistic portrayal of what kids must face when diagnosed with this insidious disease. Parts were funny, parts were heartbreaking, and parts were hopeful and sweet. It gives you pause to see how cancer not only affects the stricken, but also their relationships with family and friends. I am definately going to go back and read more John Green books. I am wondering how I missed him until now! 5 out of 5 stars!